What is in my toddlers lunchbox? Feat. Australian Certified Organic. What is in my toddlers lunchbox? Packing my toddlers lunch box daily can be a bit of a challenge as Cruz (nearly 2) can like something one day and then change his mind the next and say his famous “no” to what I have on offer. So I like to mix up his lunchbox with a few different yummy goodies and options but also like to offer him some of the same foods daily even if he doesn’t eat them because tomorrow he may haha. Newborn Photoshoot – Celebrating our Winter Rose. Make up done by a sleep deprived mumma haha. 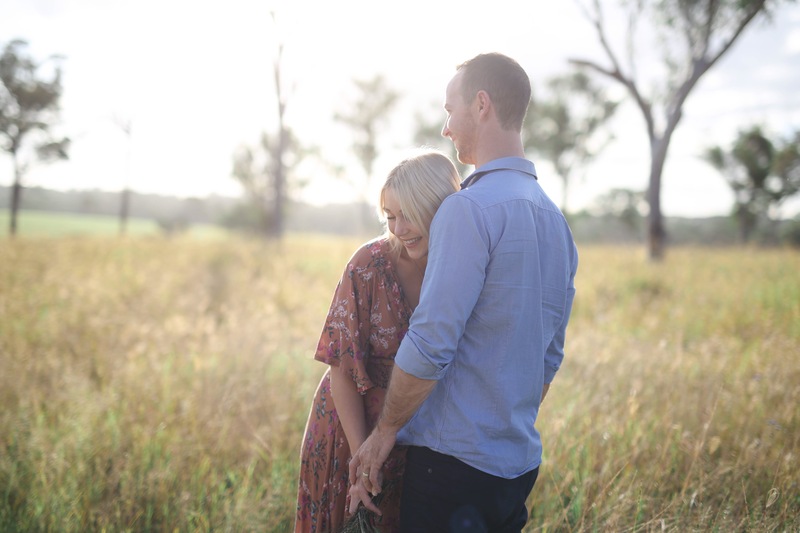 Jennifer Horner is a stunning photographer from Brisbane, Queensland. 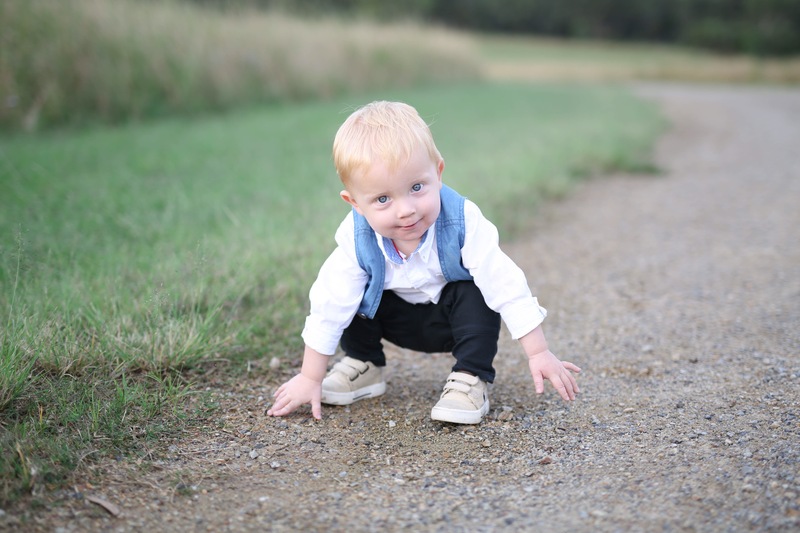 She shoots maternity, newborn, family & children and motherhood sessions. I feel very lucky to have crossed paths with her. I met her during my maternity photoshoot, she was so down to earth and so easy to work with. Jennifer is an incredibly gifted woman and I am so blessed that she was able to capture some newborn photos of our darling Winter Rose. Written by Brooke Meyer from Bouncing Back From Birth. I’m not going to sugar coat anything. The first night we brought our son home from the hospital there were tears – and tears. It is no coincidence to me that tear (as in cry) and tear (as in rip) share the same four letters. There I was in the dead of winter sitting in excruciating pain breastfeeding at 3am for what seemed an eternity. It hurt to walk, it hurt to sit, my perineum throbbed and stung from post-partum bleeding. I was not O.K. with my second degree perineum tear. I begged the midwives during home visits, when will it get better? How can I make it better? It is that last offering ‘just push through’ that inspired me to begin my journey into business – this business: Bouncing Back From Birth. 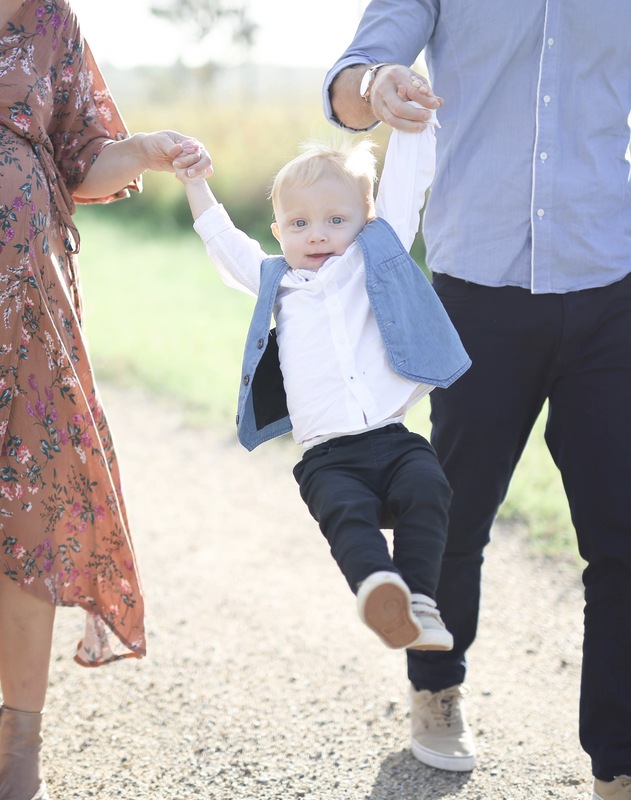 In short, beautiful Mama’s and Mama’s-to-be, I don’t believe – even for a second – that anyone should ask you to ‘just push through’ your challenges. Over the past 2 years I’ve dedicated my time to finding solutions to support your bodies natural healing process and find comfort in those early weeks. This lil’ slice of heaven get bonus points for versatility – it’s ability to be used as a warm AND cold compress means you get more bang for your buck and relief from discomfort. When heated you can fold into a V shape during pregnancy to relieve aches and pains from Symphysis Pubis Dysfunction/Pelvic Girdle Pain. Keep the heat going in labour and place directly onto the perineum. The warmth encourages the perineum to soften and stretch. It is an excellent solution for labouring Mama’s without access to a birthing pool or those who require foetal monitoring. Once your babe arrives refrigerate or freeze and apply to the perineum at 20 minute intervals to soothe your tender perineum. I guarantee the cool soft beads inside the Perineum Pad are infinitely more comfortable than a frozen condom. The Peri Bottle is relatively unheard of here in Australia but our Sisters in North America have been embracing Peri Bottles for some time. It’s now accessible to you via Bouncing Back From Birth *high five*. One of the key recommendations from your care provider in managing your Perineum will be to keep the area clean and dry – this is to allow the area to heal and prevent infection. It’s not an easy feat with post partum bleeding! Fill your Peri Bottle with warm water and direct the flow over the perineal area as you wee, not only will the water take the sting out of urinating it will gently clean the area. Always very gently pat dry. Postpartum Sitz Soak by The Hermosa Co. Packed with magnesium rich bath salts, lavender, marshmallow root and calendula this highly concentrated Sitz Soak takes keeping the Perineal area clean and dry to a whole new level. Purposefully blended for the postpartum period, a Sitz Soak shouldn’t be confused with a Bath Soak (I’ve got those too!) Fill the bath to hip height and gently sit on your knees, allowing this divine handmade blend to soothe and heal. For Mama’s without a bath pair this Sitz Soak with the Peri Bottle above. Additional benefits include relaxation of tired muscles and improved circulation. So we all know about Lavender’s relaxation and stress reduction properties, but what about anti-microbial? This is a simple and effective way to keep the area clean and reduce your risk of infection while promoting healing. Essential Lavender Oil should never be taken internally, unless under the guidance of a professional and should always be diluted. Add up to 5 drops to a Sitz Bath or 5 drops per 500mls into a Peri Bottle. At Bouncing Back From Birth we stock Solidea and SRC Health postpartum recovery compression wear. Both brands are TGA approved and offer medical grade even compression – your private heath provider may even provide a rebate, rock on! It’s absolutely imperative that if it’s compression wear that you are after that your chosen brand can provide a medical grade compression listing and is TGA approved as a medical device. If it’s not, you are simply not receiving the many benefits compression wear can bring such as increased muscle stimulation, reduced swelling and pain. Your compression wear can also support you in your c-section recovery or if you are experiencing Diastasis Recti. And there you have it! Your light at the end of the tunnel. A big thank you to Alice for inviting me to share these products with you, if you have any questions about my full range or are after some personal recommendations please don’t hesitate to get in touch via email hello@bouncingbackfrombirth.com, Facebook, Instagram or carrier pigeon – what ever works for you! All my very best for each and every one of you and your unique journey into motherhood and beyond. Stay confident – You’ve got this! The lovely Brooke has offered a discount code for my followers it is 15% off the full range from Monday 31st July until Thursday 16 August (one use per customer). Use LOVEALICE at the checkout. 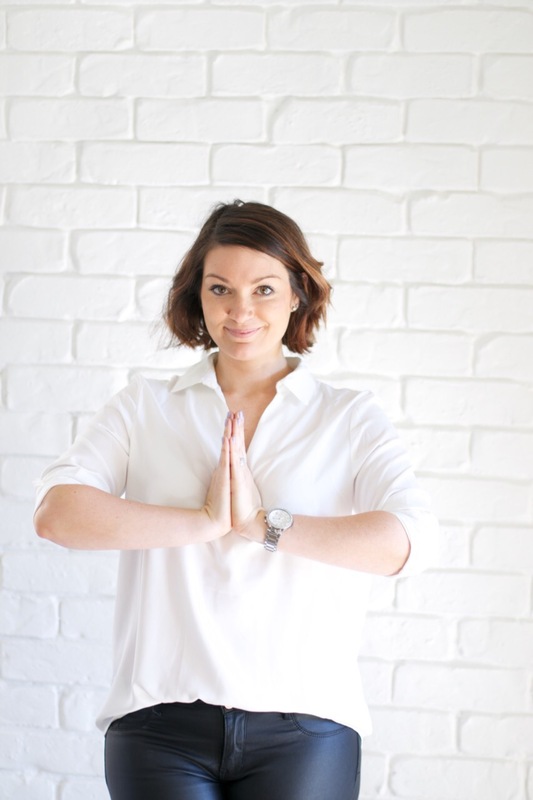 Since I will be experiencing my forth trimester soon and I have a lot of mumma followers that are pregnant, I have asked for some nutritional information and some basic survival technicques from naturopath Shannon Stokes from Mums and Bubs Nutrition Clinic. She is a mum herself to two littleys and has survived (just) the 4th trimester twice. Thank you so much Shannon for your time if you wish to contact Shannon or learn more about her, her details are as follows. Pregnancy Emotions. Pregnancy Eating. Pregnancy Exercise. Pregnancy Style. I actually cannot believe I am typing the last blog of the Alice In Pregnancyland series. 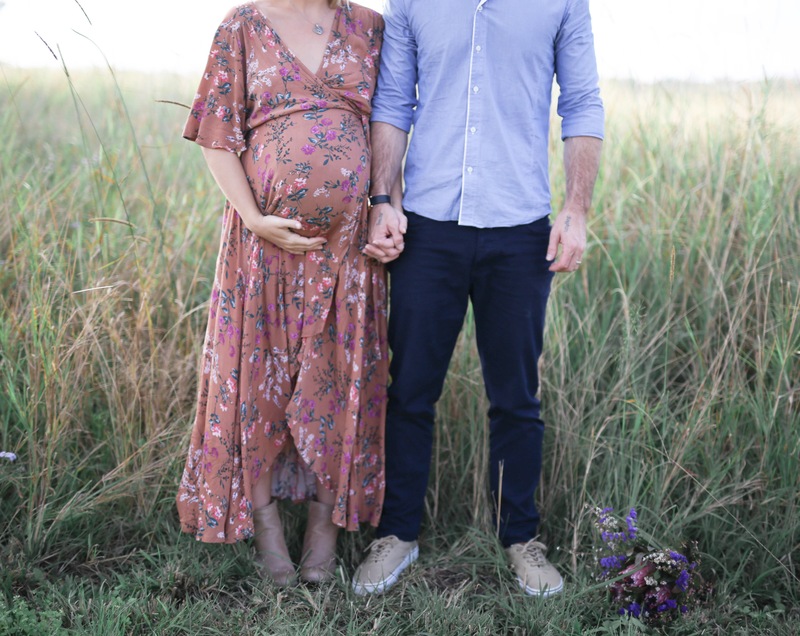 (for now haha) I remember chatting To Tahlia about collaborating with me for the #bumpstyle shoots and now here we are at 37 nearly 38 weeks finishing off the bump series. I have really loved building a friendship with Tahlia from @wyldefolkstudio_ while we did the photoshoots she is such a kind hearted person. I now have a friendship for life with her. Not to mention how blessed I was to collaborate with so many gorgeous labels and maternity brands. throughout the 9 months. A huge thank you to everyone that followed the series and continued to send through such beautiful feedback. Big Love to you all. The last few weeks I have been on a emotional roller coaster. I have been so excited to meet the little one, I have had mum guilt with my one on one time with Cruzie, I have cried happy tears and I have cried god knows what tears. To me having a good cry really does help me just let it all out, breathe and then let it go. All these new emotions feel like it’s my heart is expanding and I am ready to meet our new little one now. I finished up work at 36 weeks. Best decision as I was going to work to 37 weeks, the heaviness of nursing and being on my feet got to me a little. So I am so glad to be on maternity leave. It feels so different not having to go to work again. I have been making the most of my time with Cruzie too. I have been taking him to singing and reading at the library, reading and extra snuggles at night time, park hangs and babycino dates. I am loving being off work with him again. Everyone has been asking how Cruzie has been? Does he know? I think he knows a change is coming. He won’t let anyone rub my belly but David, he pushes their hand away or pulls my top down. We brought him a little dolly and he has been kissing it, changing its nappy, pushing it around in a pram. It’s so cute to watch. I think he will be a great big brother. I keep telling myself that I need to slow down as my body is tired, but its true “nesting” is a real thing. I keep thinking of new things to do and clean. I forget to rest and I am on the go all day. Then I have the worse braxton hicks and back ache in the evening. So I should listen to all the advice and just put my feet up. Haha easier said than done though. Plus entertaining my little man. He sleeps well in the afternoon so I should just lay down then and watch some Offspring on tv. Maybe tomorrow? haha. I went and seen my midwife for a 36 week scan and check up. The cheeky bubbas legs are sitting frog legged but the head is right down there. I keep thinking in my head that the baby will be here early because Cruz came early but I shouldn’t get my hopes up. I discussed my birth plan and what I wanted. My birth plan is to have a natural birth, hopefully not be on the monitor like last time, have a bath or hot shower, use essential oils and just have David in there. David is my rock and he really did help me through the breathing techniques last time. I do still feel anxious about the birth experience and labour but I am just trying not to think about it, what will be will be. With eating I have been a bit all over the place. I wake up so hungry and have to eat before I go for a walk. For breakfast I normally have smoothies or protein pancakes. Thats its the I just swap it up between the two. Then for snacks I have almonds, nuts, apple or a bliss ball. Sipping on so much raspberry leaf tea to ha. Lunch is lots of greens and a source of protein or a chia sourdough with cheese, figs and cucumber sandwich or the same combo on rice cakes. I am obsessed with Bolognese at the moment with zoodles (zucchini pasta), I am addicted love it. I also love white fish or salmon with greens for dinner, I have gone off all brown rice and sweet potato probably because my belly already fills so fall at night. Cravings – organic milk chocolate from Flannerys Health Shop … YUM!!!! Walking 30-45minutes around the block (filled with hills) but very slowly as I get pelvic pressure. I put my podcast on and enjoy the metime I love it. Makes me feel better. I love doing about 20-40 push ups daily on the kitchen bench and 20 squats on the shower too. About 3 times a week I use my little 2kg weights and do a little arm workout too. If I have having an exhausting day I just don’t exercise at all. Maybe just do a stretch. The last week I have really slowed down, but thats okay, my body needs the rest. So besides loose boho styles and a few tight comfortable maternity dresses I have been living in maternity leggings and a jumper. Argh so comfy. I do love dressing up the bump, but I feel my wardrobe has become very limited and don’t really want to add to it till the baby is here. 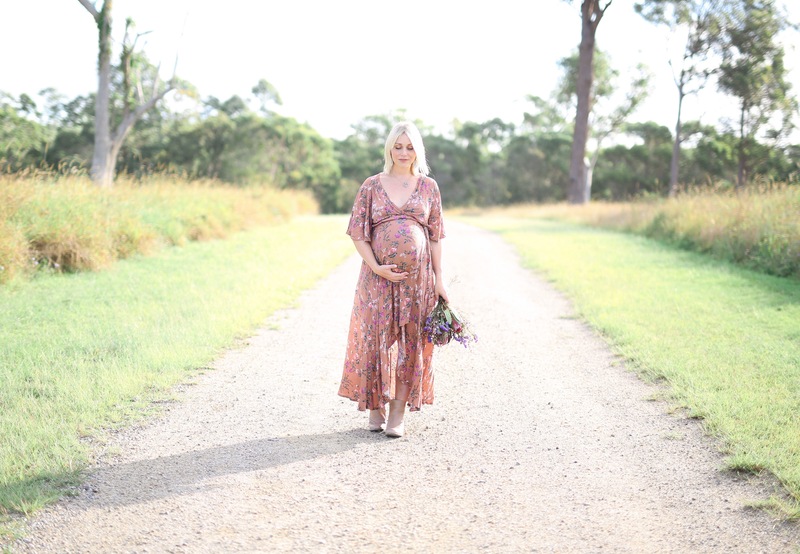 For this #bumpstye shoot I wore a dress I purchased for a hens day a few months back. Its called the FAWN WRAP DRESS and I brought it from the @theselfstyler online. Guess what they just restocked it too. You can buy it HERE. Its perfect to take you through your pregnancy journey and will be great for breastfeeding too. Its not actually a maternity dress but it should be its so comfortable. 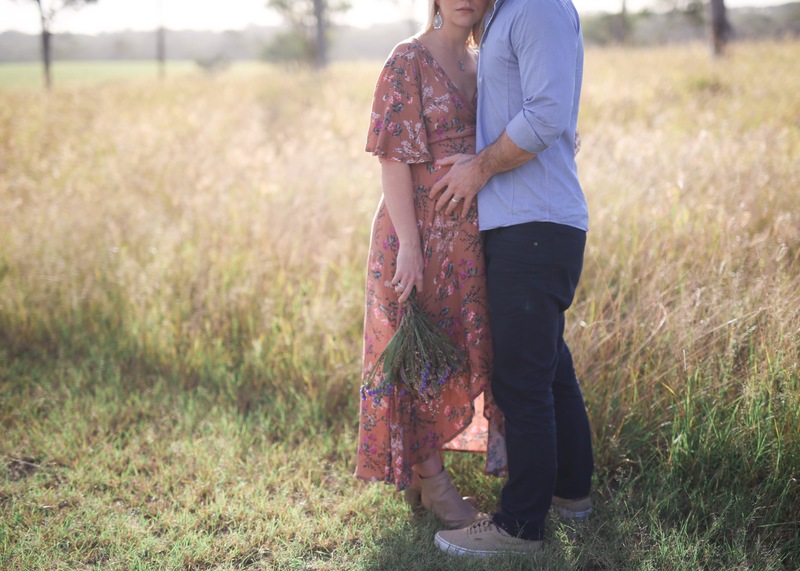 Tahlia and I decided for the last bump photoshoot we would find a beautiful spot with long grass (secret location) and invite David and Cruz to come along for some family photos. We had a lovely afternoon watching the sunset and Tahlia came with her family too, so nice. I hope you all enjoy the photos. Let me set the scene. I am not one of the many ‘insta-fit-mums’ with the minimal body-fat, eight-pack and no cellulite. This is me. I am 30, pregnant with my second child and this is my pregnancy fitness journey. I will touch more on my pregnancy fitness with baby two (below). Before I get into my journey I want to touch on something that is bothering me on this topic. 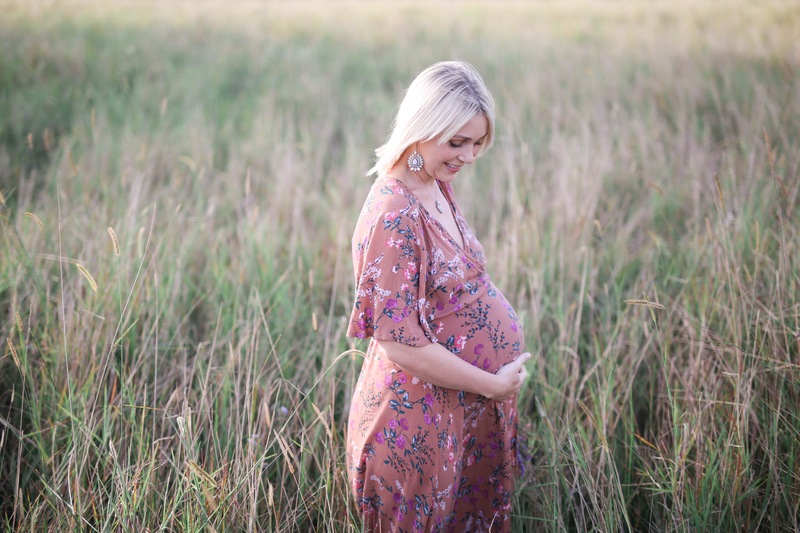 I originally had intended this post to be about all the fitness options available for pregnant women, instead I began to feel (hormonally) overwhelmed by the key-board warriors ‘attacking’ mothers and mothers-to-be on social media because of their lack of education on the topic. I have the up-most respect for the ‘insta-fit-mums’. I admire their commitment to fitness, health and finding their new balance while pregnant and most of all I admire their strength when it comes to the ongoing (never ending) public criticism they receive about their pregnancy. Can anyone else see a common theme here…? THEIR. A pregnancy journey is exactly that. It is individual. Every woman and her body are different. 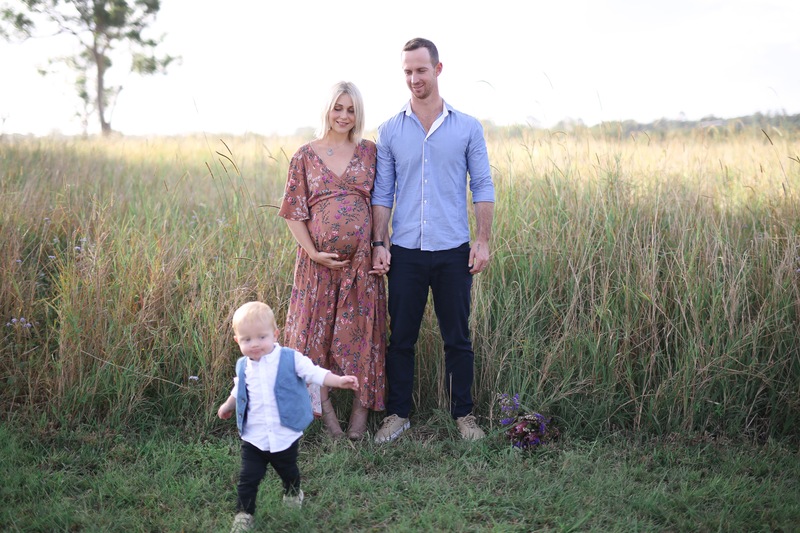 Recently, I read with great disappointment an article in the Courier Mail on pregnancy ‘insta-fit-mum’ Chontel Duncan. I don’t know her at all, but I do understand her journey is hers and I don’t believe or see anything wrong with advocating for a healthy and fit Mum throughout her pregnancy. She did not say that a pregnant woman has to train like her but instead find a balance that is the right fit for THEIR pregnancy. Again that word their. 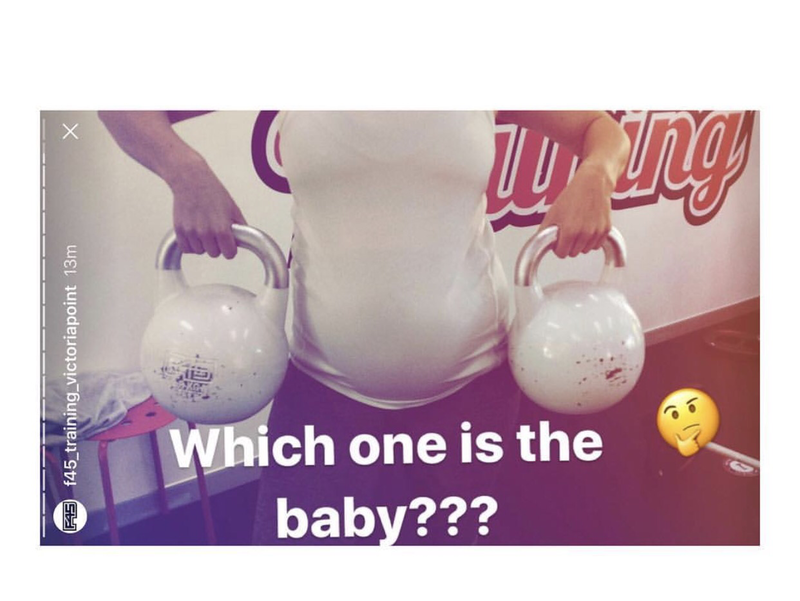 Why is a woman’s pregnancy and her pregnancy fitness journey anybody else’s to comment on? Here is my journey. I have had several people ask me how much weight I have put on because I look ‘small’ for my gestation. Question, what is the size of a pregnant belly at 32 weeks? Exactly that there is no perfect size. For me I have never really carried weight around my stomach and found that an easier area to keep toned so both times now my stomach is low, compact and tight. As for weight this is something I have debated about sharing and I have decided not to. Whilst I check-in on my weight, my midwife and OB never have. So what do I do to maintain my health and fitness throughout pregnancy. 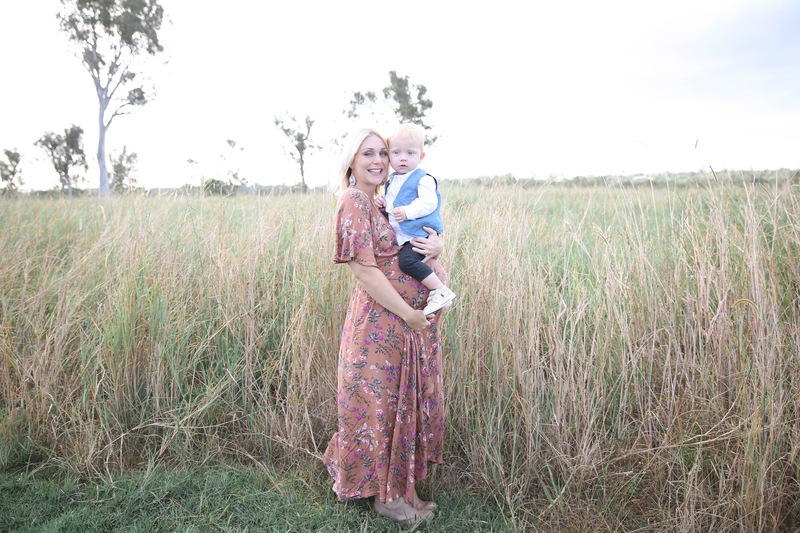 To some it may seem like ‘too-much’, but this is MY journey and I am sharing it to help educate women that keeping up your fitness and health throughout pregnancy can and will benefit you. 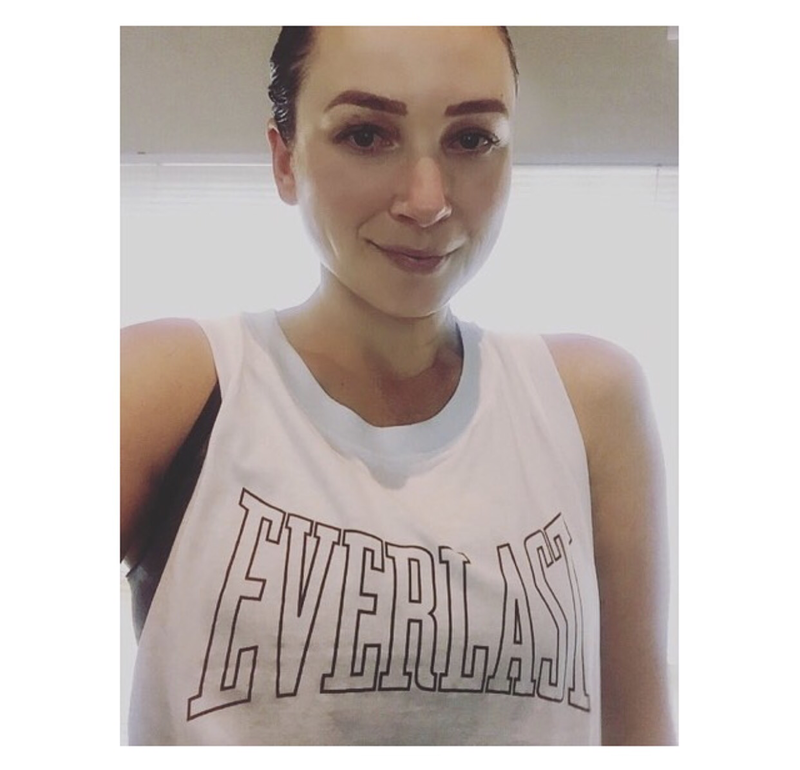 Besides the intensity and modifying exercises throughout each trimester I have ben doing reformer and mat pilates two to three times a week and F45 two to four times a week depending on how I am feeling. I also chase after a 12kg, nearly two year old and puppy who love long walks and park play. Pilates is something I have always been passionate and addicted to especially as my recovery with Jack was relatively easy made thanks to this fitness revolution. This time I have a reformer at home making it convenient to exercise before Jack wakes without having to go anywhere. F45, especially as I have entered into my third trimester, has been a lifesaver. The motivation, support (physical and mental) the program provides me is exactly what I have needed, especially on the cooler winter mornings. I love doing a 5am workout, coming home and preparing things for the day and knowing my workout is done. Mentally, emotionally and hormonally this is my fitness regime, that is supported and monitored with my OB and allied health professionals, which works well for me and my pregnancy. So without professional fitness qualifications here are my TIPS for your Pregnancy and Post-Partum Journey. 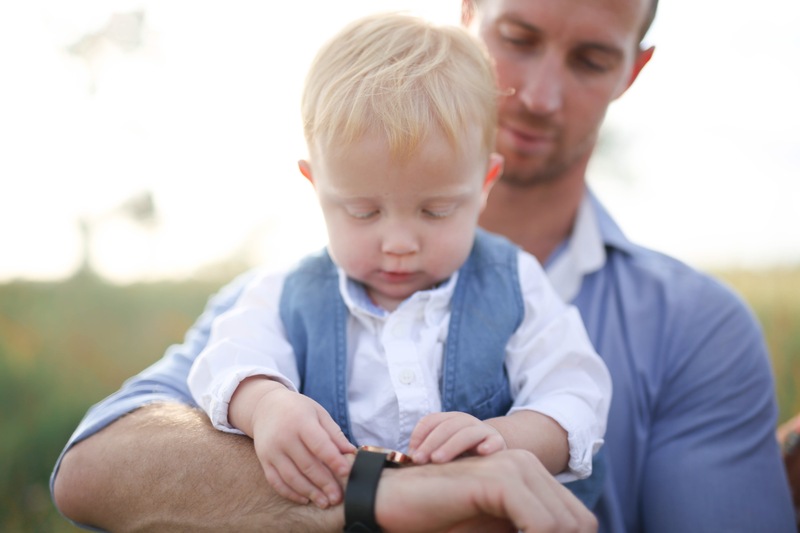 Check out – You want real advice check out UB Mumma for professional health and fitness advice. Don’t judge – don’t judge the ‘insta-fit-mums’ they are humans like you and me and not bulletproof. Stop comparing – Don’t follow/stalk/screenshot/ postpartum fitness images and sites if it won’t benefit you. Guess what just like your pregnancy journey your post-partum journey is yours as well. 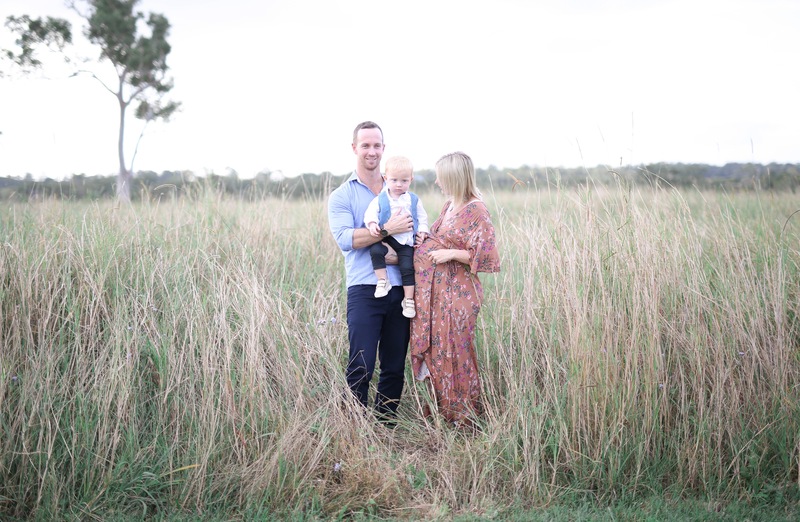 Maternity Photoshoot – Celebrating our second child. TOWARDS YOUR MATERNITY OR NEWBORN PHOTOSHOOT. 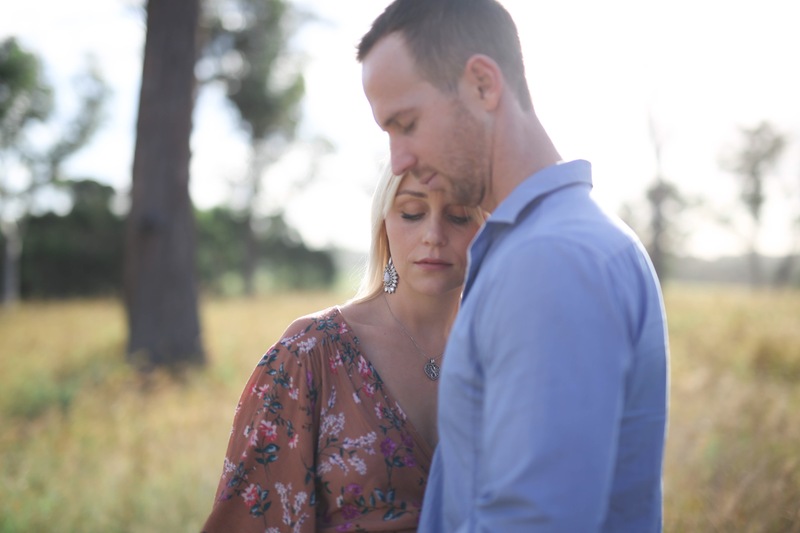 Jennifer Horner is an amazingly talented photographer from Brisbane. 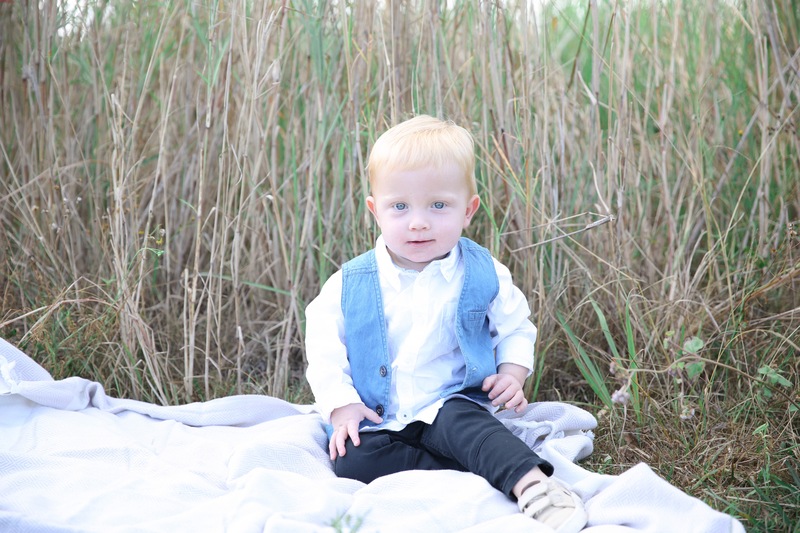 She shoots maternity, newborn, family & children and motherhood sessions. Jennifer is an incredibly gifted woman and I am so thankful that she was able to capture such a treasured moment in my life. From the first email of contact, to the first moment I met Jennifer, she was extremely professional but so friendly to chat with. I found her very easy to connect with, (which is great when you are standing there just in your underwear in front of just her and the camera haha) and she made me feel welcome and relaxed in her studio. 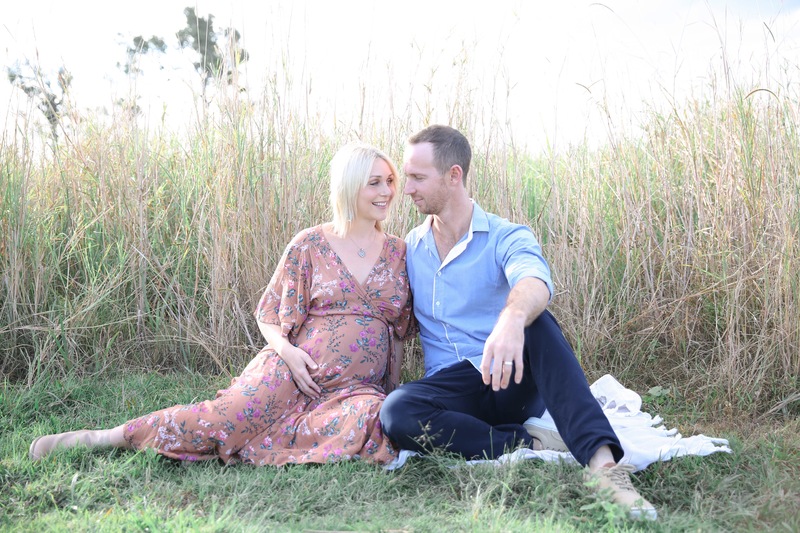 After connecting with Jennifer via email, she sent out a questionnaire and information pack about the the maternity shoot for me to complete and send back. 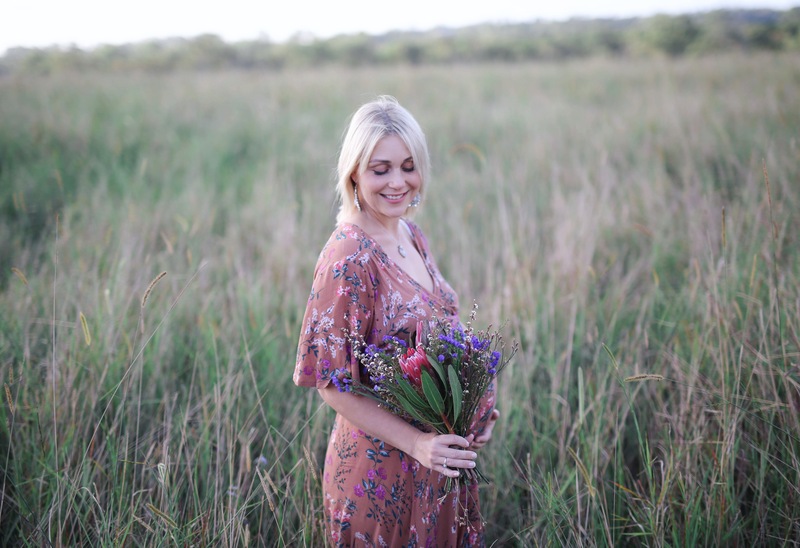 Asking a little bit about myself, how many children I had, my husband, the colours I loved and what I had in mind for the photoshoot and what she could offer. She was very happy to answer any questions or queries I had in the lead up to the shoot and was prompt with her replies. I thought this was a great way for Jennifer to get to know me before she meet me. The morning of the photoshoot I had my hair and make up done by Suzie, owner of An Eye For Style and then headed straight to the studio for the shoot. When I arrived, Jennifer had the studio set up ready to go (it was beautiful, filled with lots hanging blooms from the ceiling and a great playlist of tunes in the background). She had all the gowns & kimonos colour coded and ready for me to start trying them on straight way. She also had other options not far to offer if need be as well. I felt extremely comfortable and had lots of laughs with Jen, as she prompted me into different positions as she would snapped away with her camera. Jen would quickly change the backdrop or scene while I slipped into the next outfit too. All very well organised. She would show some of the images on her camera to me throughout the shoot to which I loved. My experience with Jen was exceptional, I would highly recommend her to my friends and family. She is not only creative and talented, but so welcoming and always making sure I was happy and comfortable throughout the whole experience. So thank you Jen for capturing this precious memory of my bump. I look forward to one day gifting these images and sharing stories of my pregnancy with my children. Want more from Jennifer Horner?